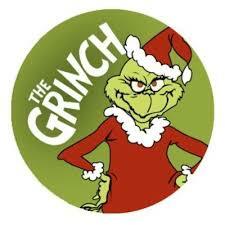 I have seen The Grinch numerous times. Like, I have watched it tons of times. I always liked it, and I always loved the meaning…but it wasn’t until last night that I truly sat and REALLY thought about how it applied to my life. You see, there are a lot of things we can learn from The Grinch, so I thought I would take the liberty to list a few of the ones that have convicted my heart. When someone is unkind or hurtful in their actions, it does not mean they are truly that way in their heart. There is always something deeper causing them to react in certain ways. This is a bit of a hard one for me…I will be honest. You see, I truly TRY to be kind to everyone. I try to speak in a kind manner and not a harsh manner. I try to be loving and not hurtful. I try to see the best and not be a negative Nancy. I try to look at the glass half full. The key word in all of this is try. But, the truth is…not everyone is like that. There are some sandpaper people that simply rub you the wrong way. They are harsh in their actions and hurtful in their tone. They are negative about any and everything. They always see the glass half empty. In all honesty, they remind you a lot of The Grinch. They seem to be simply put…unhappy. Well, as I watched the movie and watched the transformation of the Grinch, he realized that he truly never hated Christmas or hated the people who celebrated it. He realized that he had simply been LONELY. This feeling of loneliness and rejection had pushed him to become someone he truly never wanted to be…and he had not taken the time to work to change that, until he had his eyes opened to what his true issue was. We are all that way, honestly. You see, we all get hurt. We all have baggage and scars. Things that have happened or didn’t happen to us in our lives have shaped our view of the world in some way, and in many ways…it can shape our view of people in general. I want to be able to see past the person’s actions and into their heart. It is so easy to get frustrated or turn away from someone when they do us wrong or hurt us…but maybe we should dig a little deeper and see what the true issue is. Maybe we could be the change they need? One act of kindness can change a person’s life. Little precious Cindy Lou Who is the epitome of who I wish I was…who I want to be. She was positive, loving and literally cared more about others than herself in every way. How many of us can truly say that? By her taking the initiative to get to know The Grinch on a deeper level, even AFTER he had taken all of her Christmas presents and everything that she was going to have to celebrate Christmas from a material standpoint, she was able to reach his soul. She was able to reach his heart. Her kindness changed the course of his life. How often do we fail to go the extra mile for someone who has done us wrong? How often do we even go the extra FOOT for someone that has done us wrong? I would dare to say that many of us would barely move an inch when we feel completely betrayed or wronged. I know that many times, when I am hurt, I shut down towards that person. I find it very hard to move forward when I have been wronged…and that is simply not right. That isn’t what Cindy Lou Who did…and that is not what Jesus did for me. And THAT is the most important One that I am trying to be like in my life and please with my actions. How often am I failing to forgive and embrace and see the deeper issue? I have to do better. We all have to do better. Christmas is far more than gifts under a tree. I would say there is not a single one of us out there that would not say that we agree with the fact that Christmas is so much more than gifts underneath the tree. BUT, my question is…how often do we truly ACT on that truth? It is so incredibly easy to get wrapped up in finding that perfect gift or making sure we do every little Christmas tradition known to man…that we forget what the season is even all about. I know I can be so guilty of this. Christmas is my absolute FAVORITE holiday of all. I love every detail about it. There are certainly times that I am so caught up in the decorating and the hustle and bustle that I forget to sit and reflect on what TRULY matters. Jesus sent his SON…his ONLY Son…to this Earth so that he could live a sinless life and die on the cross for OUR sins…every single one of us. THIS is what it is all about. It is about that love that is far greater than any human love. It is about family. It is about friends. It is about celebrating His birth and celebrating our loved ones. It is not about the perfect gift under the tree, but it is about the perfect gift that was sent to be born in a stable. As someone who loves Christmas as much as anyone, I know the struggle in keeping the right priorities…but let’s say that this year…well, this year…taking a family trip to the movies to see a mean ole green guy touched my heart in ways that I needed. It brought to light some things that we can all use some convicting on. And it made me want to be a Cindy Lou Who in a world full of grinches. Let’s all think a little harder, love a little deeper and be a little kinder this Christmas season. You never know just who may need that ONE act of kindness to change the course of their life. Awesome Brooke ! Thank – you .